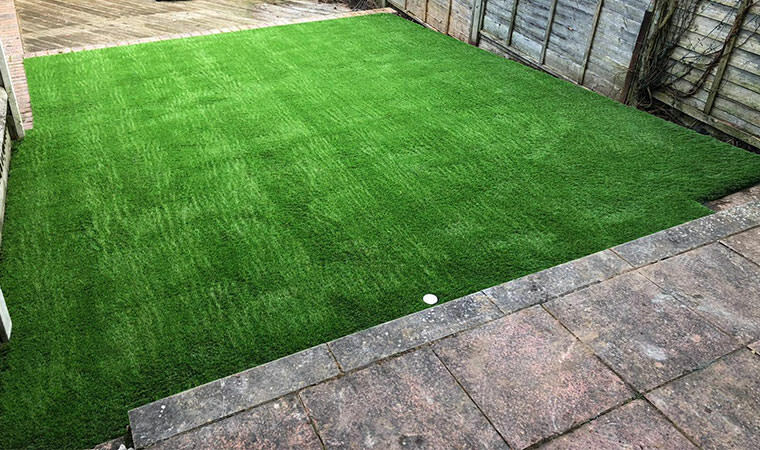 The grass on this small back garden in Maidstone, Kent looked scruffy. 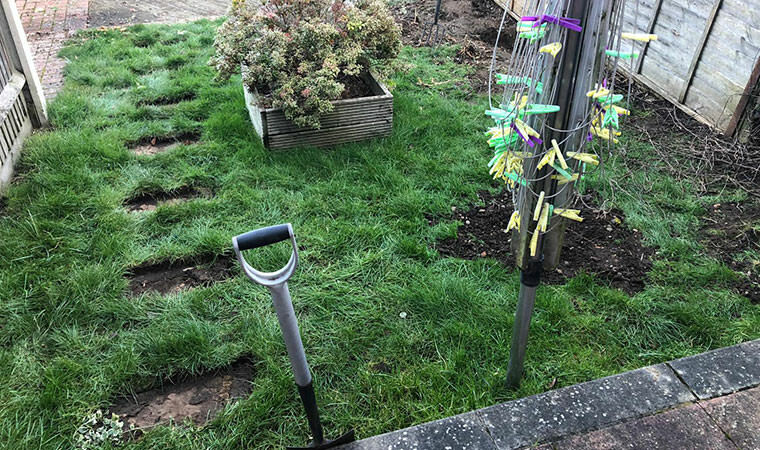 The whole area needed a good tidy up. With the Rectory grass fitted on solid groundworks the garden now looks much better. An added bonus is the garden now appears larger with the linking of the house to the sun deck.